Following his fifth-consecutive knockout win inside the Octagon, a brutal one-punch counter KO over the previously-undefeated striker Felipe Silva at this past Saturday’s UFC Fight Night 115 event in Rotterdam, Holland, there’s just no way the heavy-handed puncher from Chechnya known as Mairbek Taisumov can fly under the radar any longer. The 29-year old knockout artist is now 6-1 in the UFC, is on a ridiculous streak of five straight knockouts -- over Silva, Damir Hadzovic, Alan Patrick, Anthony Christodoulou, and Marcin Bandel -- and has won Performance of the Night bonuses in his last three fights for a healthy $150,000 in extra cash. 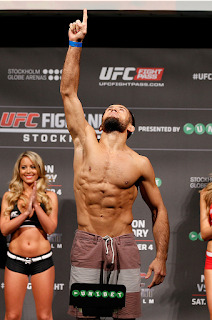 After defeating Tae Hyun Bang via decision in his UFC debut and then losing a lopsided decision to the underrated Michel Prazeres in his next fight, Taisumov has been absolutely flawless inside the Octagon, and in my mind he’s close to calling himself a Top 15 lightweight at this point, if he’s not there already. The biggest problem for Taisumov so far has been visa issues, which forced him out of fights in the past against both Chris Wade and Nik Lentz. 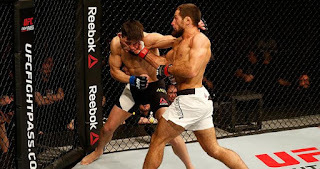 The Lentz fight would have matched Taisumov against arguably his best opponent to date, but for whatever reason, Taisumov just can’t get a visa into the United States anymore, even though he previously competed for M-1 Global in a 2011 event in California. And since Taisumov can’t get a visa into the U.S., at least not until this point, he’s been fighting lower-tier fighters in Europe and Asia instead. So while he has been knocking out opponents left, right, and centre, admittingly he isn’t fighting the highest level lightweights in the world. The UFC likely doesn’t want to take the risk of matching him up against a top-10 fighter, only to see Taisumov knock him off and then not be able to fight in the US. If you can’t fight in the United States, then there’s no point of the UFC promoting you in big fights and against elite fighters, fighters who would be able to fight in Las Vegas or New York. If Taisumov is able to secure his visa, though, it puts him in a tremendous position to get a top-10 or at least a top-15 opponent for his next fight. The guy has quickly turned from an unknown to one of the most exciting lightweights in the UFC, though most casual fans don’t know about him since he mainly fights on smaller international Fight Night cards. The only way he’s going to stop flying under the radar is by gaining a visa and then fighting on a big pay-per-view or even FOX card, and based on his recent string of incredible performances inside the Octagon, he really deserves this opportunity. Even if Mairbek Taisumov doesn’t get his visa, and none of us truly know if he will or not, it’s still fun to enjoy his exploits and watch him knock second-tier opponents out. Sure, it would be nice to see him test his skills against a ranked opponent, but if that’s not in the cards, we’ll have to make do with the matchups the UFC gives us. 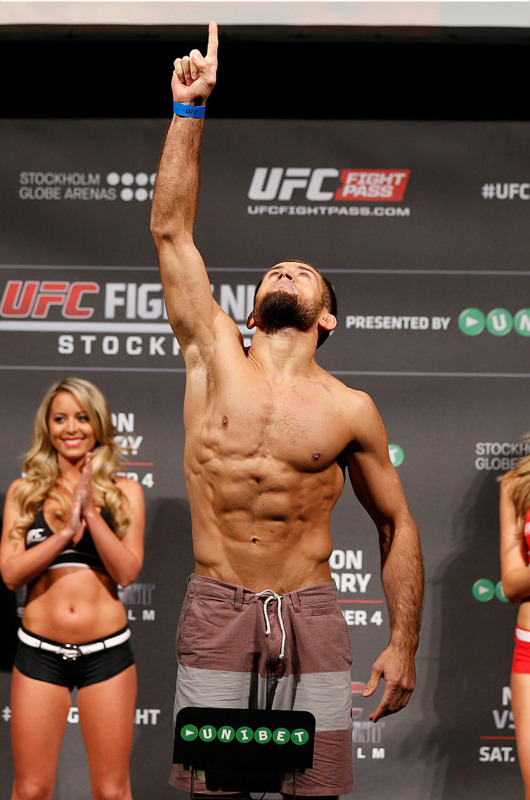 He is a beast of a fighter, and a ton of fun to watch, and even if he’s not able to get the big fights he deserves for reasons out of anyone’s control, don’t let Taisumov fly under your radar. 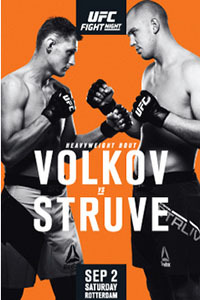 UFC Fight Night 115: Struve vs. Volkov took place September 2, 2017 at Ahoy Rotterdam in Rotterdam, Netherlands. Click the stars to rate how good you think UFC Fight Night 115 was.